Emissions limits set by the European Union’s Emissions Trading System have not hurt revenue, profits or employment at firms subject to the cap-and-trade program over the years 2005-2014, finds a new report from the developed countries’ Organisation for Economic Co-operation and Development (OECD). The report, titled “Joint Impact of the EU Emissions Trading System (ETS) on Carbon Emissions and Economic Performance,” was released last month. It compares financial data from around 2,000 firms operating ETS-regulated facilities across the EU with financial data from similar-sized unregulated firms from the same countries and sectors. This data was complemented with data from the European Pollutant Release and Transfer Register. The EU ETS is the world’s first international emissions trading system and the biggest of 25 carbon cap-and-trade systems in place worldwide today. 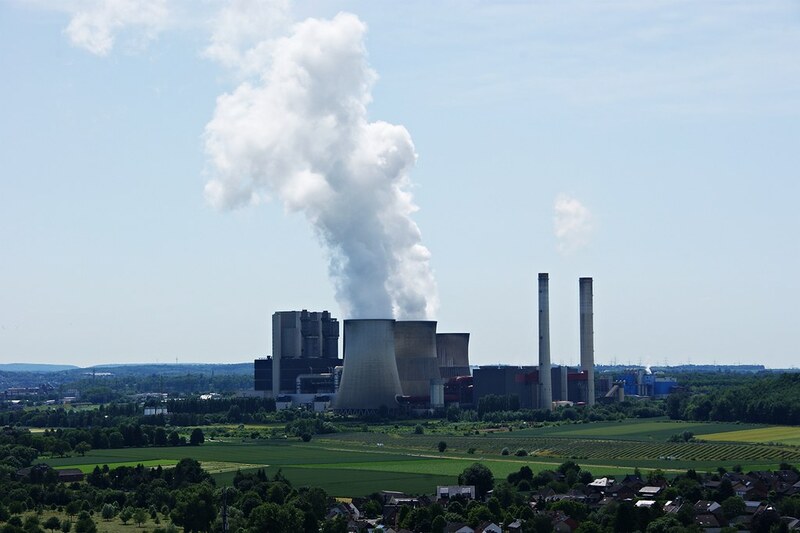 It allocates tradeable emissions permits to over 14,000 power stations and industrial plants in 31 countries accounting for over 40 percent of the EU’s total greenhouse gas emissions. Revenues of firms subject to the ETS were seven percent to 18 percent higher at the end of the period studied than what they would have been without the EU ETS, and their fixed assets grew by six to 10 percent compared to control firms. Employment levels and operating profit at ETS firms were slightly higher than at non-ETS firms. Previous evidence has shown that the EU ETS encourages regulated companies to invest in carbon-saving technology, which can boost productivity, a move that speaks well for the ETS, Europe’s main tool for reducing carbon emissions. The EU ETS works on the cap and trade principle. A cap, or limit, is set on the total amount of certain greenhouse gases that can be emitted by the factories, power plants and other installations within the system. The cap is reduced over time so that total emissions fall. Within the cap, companies receive or buy emission allowances, which they can trade with one another as required. They can also buy limited amounts of international credits from emission-saving projects around the world. The limit on the total number of allowances available ensures that they have a value. After each year, a company must surrender enough allowances to cover all its emissions, or heavy fines are imposed. If it reduces its emissions, it can either keep the spare allowances to cover its future needs or sell them to another company that needs them. The flexibility that trading brings ensures that emissions are cut where it costs least to do so. The OECD report finds the EU’s Emissions Trading System has been effective in reducing carbon emissions. Comparing emissions data from power plants and industrial facilities covered by the ETS with data from similar but unregulated facilities in the four countries where data enable such a comparison – France, the Netherlands, Norway and the United Kingdom – shows a significant difference. ETS-regulated plants in these countries cut their emissions by 10-14 percent between the system’s 2005 introduction and 2012 compared with similar-sized unregulated installations from the same countries and sectors. Most of the drop took place from 2008 to 2012, during the second trading phase of the ETS, and the decrease was most marked at the biggest facilities.